Reach your goals safely and effectively with a certified personal trainer. Our trainers design a program especially for you. If you know you want to be healthier and don't know how to get there we can help. Or if you lack motivation or like to change up your workouts frequently use a trainer to keep things fresh and exciting. Call to set up a consultation and see if working with a Trunk Trainer will be right for you. Certified by accredited personal training programs and/or hold a degree in the field. 1+year of experience as a trainer and has worked with an established client base. Will provide specialized programing to help you reach your fitness and wellness needs. Hiring a certified personal trainer can change your life. 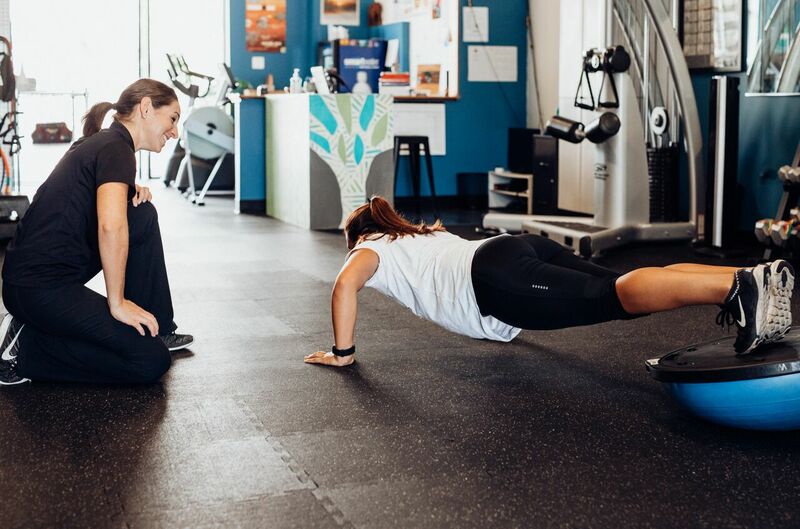 If you have questions on what you should be doing for exercise or have a specific fitness goal, a certified trainer has experience in designing the right routine for you. Customized programs and continuous fitness support for individuals get you where you need to be quickly and safely, and can provide support and accountability if you know what to do but just can’t maintain a routine on your own. Multi-client training sessions are also available to provide a reasonable rate for ongoing fitness support. Degree or Certification from an accredited institution, 2 years experience as a certified personal trainer, established client base, Trunk Trainers Pro Elefit Certified. Developing skills at certified personal trainer within the Trunk Trainers Pro Elefit Internship Program. Working to earn NASM certification.